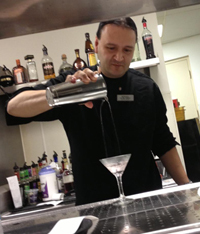 Mark Certonio is the proprietor of lush bar Key West, a wine, coffee, tea and chocolate bar. lush bar serves all organic, sustainable, fair trade and environmentally responsible products. Mark is currently the Director of Events and Co-founder of the Key West Food and Wine Festival. In his role he is responsible for all aspects of producing this festival. Mark graduated from the University of Utah with a major in Architectural Engineering, then embarked on a career in the food and beverage/hospitality industry by joining the Marriott Corporation retiring after his 20 year career as Director of Catering at the New York Marriott Marquis in New York City. He then moved to Brussels, Belgium and was the International Director of Sales for Meeting Matrix, a hospitality software company. He also taught at the Centre de Management Hôtelier International in Paris, France. After moving back to Key West in 2002, Mark worked in two fine dining establishments as General Manager at Café Marquesa and Latitudes on Sunset Key. He has volunteered for Aids Help, successfully producing the Taste of Key West and for Wesley House’s Valentine’s Day party. As a member of the Key West Business Guild, Mark presently serves on the Board of Directors, and is a member of the Key West Chamber of Commerce, Key West Inn Keepers Association and American Institute of Wine & Food-South Florida Chapter. 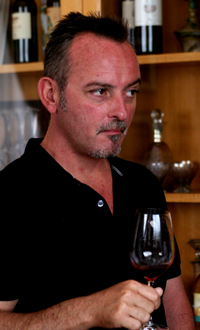 His hobbies are photography, tile design, travel, cycling, web site design, community involvement and great food & wine. Cary Weil Combine has over twenty years of experience in the beverage industry with Duckhorn Wine Company, Intervine, Inc., Constellation Wine, Sebastiani Winery, and Southern Wine and Spirits. She has her Bachelor of Arts degree from the University of Florida. Cary earned her certification as a sommelier through the Court of Master Sommeliers. 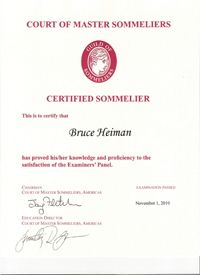 Additionally, she is a Certified Specialist of Wine through the Society of Wine Educators. She is an active panel judge for the annual American Fine Wine Competition where this year over 650 American wines were evaluated. Cary’s enthusiasm is carried over to the YMCA where she leads group exercise classes. She is certified through the Aerobic Fitness Association of America as well as being current in CPR/AED. She has relentlessly served as a volunteer team captain for the YMCA’s annual fundraising campaign and was awarded “Best Campaigner” for 2011. 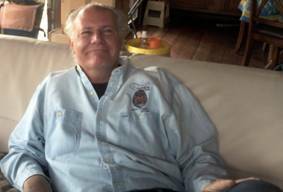 Merritt William Rathje II, has deep roots in food, wine & spirits, from food manger on a cruise ship to president of Wines & Spirits of Merritt, a brokerage company, to co hosting a wine & spirits radio show on WXEL. Raised in Fort Lauderdale where my father had the 1st bar with air conditioning and color TV, I think I was 22 before I realized my name wasn’t “Big Lou’s kid”. 5 years in amusement part management, Pirates World in Dania & Astro World in Houston. Was in restaurant management in Naples, then with NCL in the Caribbean. General Manager for TGI Fridays, back to Naples. Got into wholesale wine & spirits with Southern Wine & Spirits, finally starting my own company brokering in the South East US. Went to Nova High School (1st graduating class), then on to Broward College.